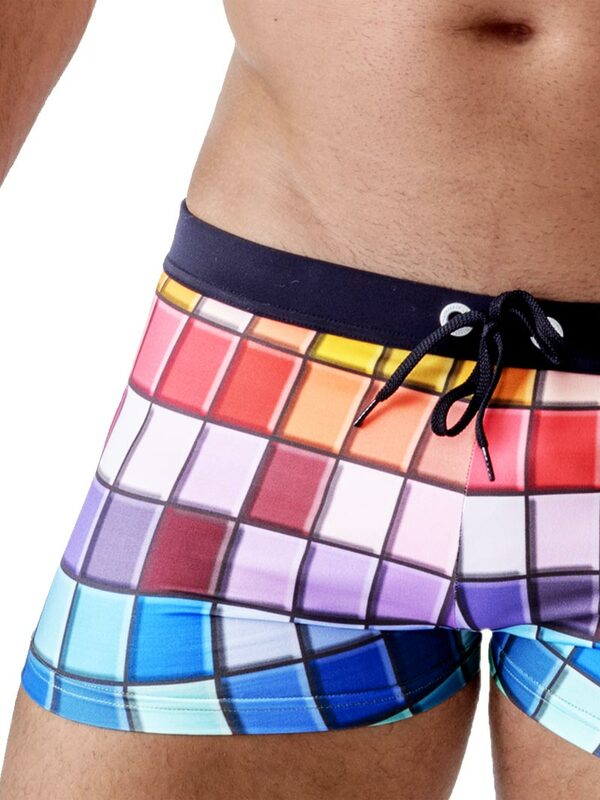 With its vibrant block print Geronimo 1718b1 Colorful swim trunk Exclusive men's Swimwear Collection attract everyone’s eyes on the beach or around the swimming pool. Super smooth fabric and flat stitched hems for a streamlined finish. Black contrast drawstring waistband for maximum security and a lined front center for more coverage. This pair is designed with a low cut and stays on snugly and comfortably.